Over the next several weeks, we’ll dive into each of the 34 strengths of the CliftonStrengths assessment. Read more to learn about the Context and Input strengths below! 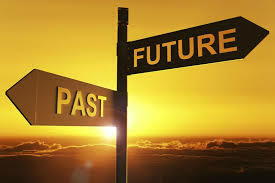 Do you enjoy thinking about the past? Do you understand the present by researching history? If so, you might have “Context” as one of your top strengths. Perspective and background are important for people with strong “Context” talents. They value the retrospective viewpoint because that is where they believe the answers lie. They look back to understand the present. From the past, they can create a map for the future. Do you have a craving to know more? Do you like to archive and collect information? Are you inquisitive? If so, you might have “Input” as one of your top strengths. People with strong “Input” talents like to collect certain things, such as ideas, books, memorabilia, quotations, or facts. Whatever they collect, they do it because it interests them. The world is exciting precisely because of its infinity variety and complexity. A few minutes of surfing the internet may turn into hours once their curiosity takes off. Want to find out more? To complete the CliftonStrengths for Students assessment, contact strengths@iit.edu.